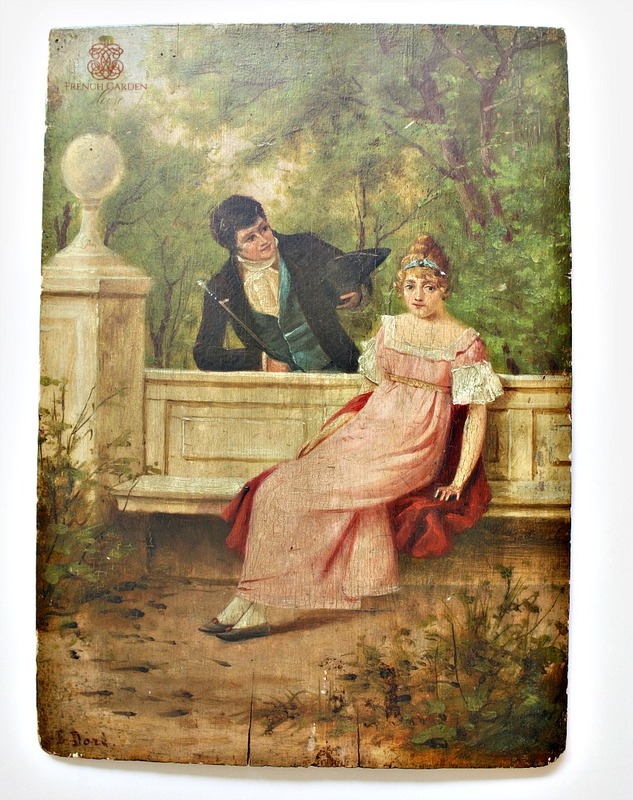 A stunning original oil painting, painted with great skill on a wooden board, mid 19th century, of a courting couple. 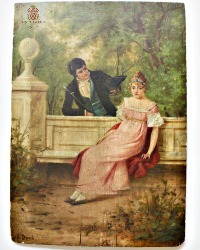 Romantic in nature, the beautiful mademoiselle is seated on a bench in a lush garden, wearing a beautiful pink gown edged with French lace, she wears a small tiara in her hair. Her suitor, resplendent in his jacket and blue vest, his frothy jabot showing he has great style, is leaning over her in earnest conversation. This painting comes from the inside of a very special armoire custom made for a lady's bedroom in a grand chateau, the curved panel is quite a decorative beauty! Softest colors, so well painted, incredibly detailed. This is in good condition for age and type. 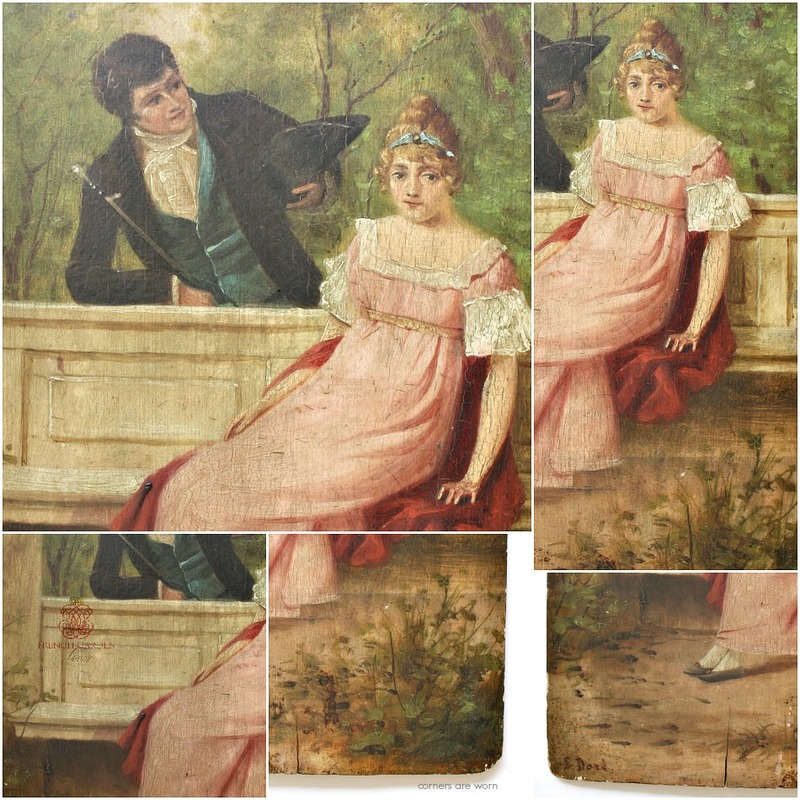 The painting is old, it has a wonderful palette of soft, colors. there is craquelure and aging. Signed in the left corner E. Doré. Display this on an antique stand, or simply lean it on a shelf or mantel. The perfect smaller size for so many decorative options, I am a little bit in love with this one!